Ruth Madoff: "Embarrassed And Ashamed"
The wife of convicted scam artist Bernard Madoff said she feels "betrayed and confused" by her husband's multibillion fraud scheme. Madoff was sentenced to 150 years in prison Monday - the maximum sentence - for what U.S. District Judge Denny Chin called a "staggering" fraud. During his prepared statement to the court, Madoff apologized to his family. "How do you excuse lying to your brother and your two sons? How do you excuse lying and deceiving a wife who stood by you for fifty years and still does?" 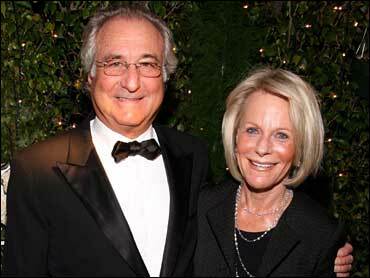 Now Ruth Madoff is speaking out for the first time since her husband's Ponzi scheme was uncovered late last year. She said she was breaking her silence "because my reluctance to speak has been interpreted as indifference or lack of sympathy for the victims … which is exactly the opposite of the truth." Ruth Madoff said she was "embarrassed and ashamed" at her husband's actions also claimed to feel "immense pain" at the stories of victims wiped out by the scheme. "From the moment I learned from my husband that he had committed an enormous fraud, I have had two thoughts - first, that so many people who trusted him would be ruined financially and emotionally, and second, that my life with the man I have known for over 50 years was over. Many of my husband's investors were my close friends and family. And in the days since December, I have read, with immense pain, the wrenching stories of people whose life savings have evaporated because of his crime. "My husband was the one we (and I include myself) respected and trusted with our lives and our livelihoods, often for many, many years, and who was respected in the securities industry as well. Then there is the other man who stunned us all with his confession and is responsible for this terrible situation in which so many now find themselves. Lives have been upended and futures have been taken away. All those touched by this fraud feel betrayed; disbelieving the nightmare they woke to. I am embarrassed and ashamed. Like everyone else, I feel betrayed and confused. The man who committed this horrible fraud is not the man whom I have known for all these years. "In the end, to say that I feel devastated for the many whom my husband has destroyed is truly inadequate. Nothing I can say seems sufficient regarding the daily suffering that all those innocent people are enduring because of my husband. But if it matters to them at all, please know that not a day goes by when I don't ache over the stories that I have heard and read." Ruth Madoff will feel some of her husband's pain as well. Last week, a judge issued a preliminary $171 billion forfeiture order stripping Madoff of all his personal property, including real estate, investments, and $80 million in assets she had claimed were hers. The order left her with $2.5 million.